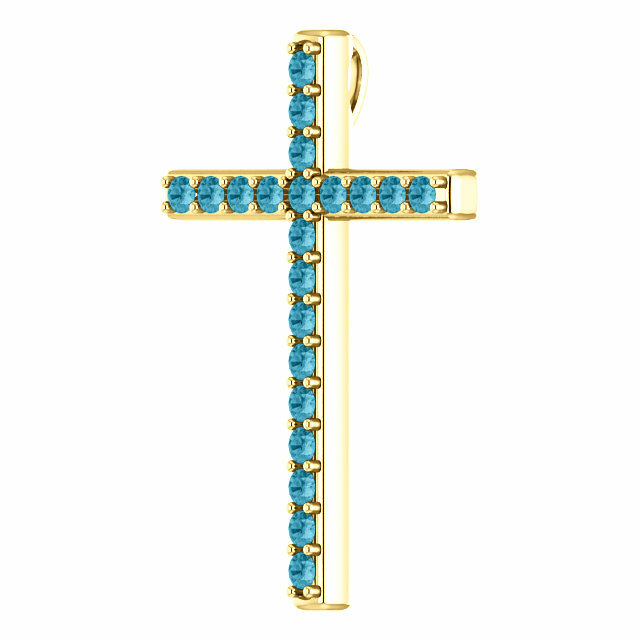 The strong deep blue hue of the London Blue Topaz in this gold cross pendant is nothing short of breathtaking. Wear this cross as a daily reminder that Jesus Christ is the Way, the Truth, and the Life. "Jesus saith unto him, I am the way, the truth, and the life: no man cometh unto the Father, but by me" (John 14:6). 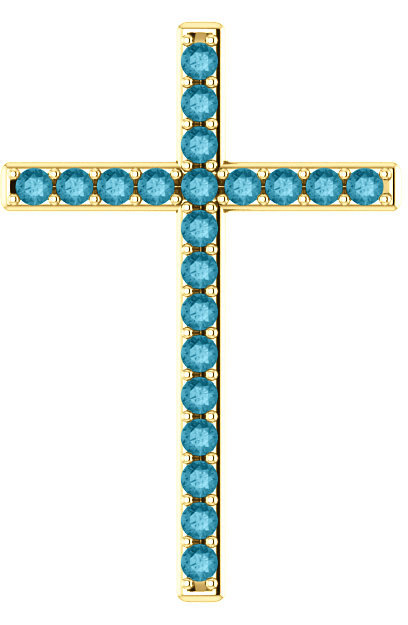 The cross pendant measures 1.25" x 0.85" and is set with 21 "AA" rated 2mm London Blue Topaz gemstones. Available in your choice of 10k, 14k, or 18k yellow gold. The bale/hoop is hidden behind the pendant so that it does not detract from the beauty of the cross when worn. Add a matching 18" or 20" gold cable chain necklace or wear it with a necklace of your choosing. The pendant is also available in white gold or sterling silver, shown below. 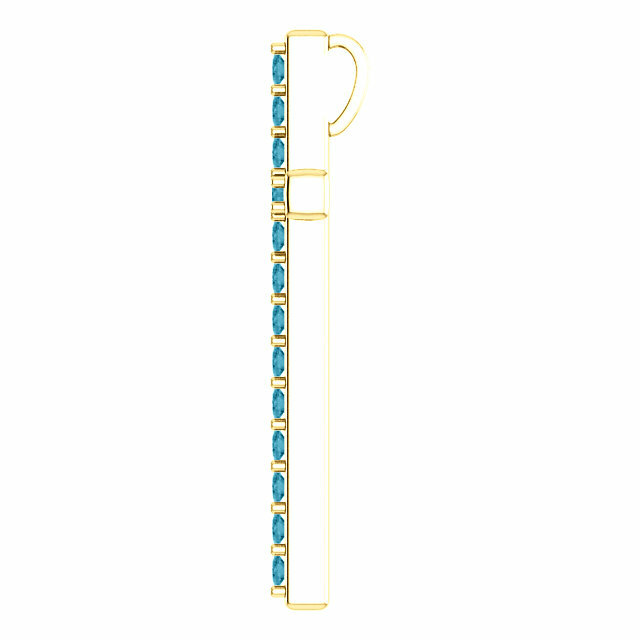 We guarantee our "I Am the Way" London Blue Topaz Gold Cross Pendant to be high quality, authentic jewelry, as described above.